Caught in a fire storm while hiking, David is forced to run for his life. Then, high on a deadly cliff, he must find a way to save a schoolmate from a terrifying fall. As they recover from their ordeal, David and his friends face challenges and choices. But David’s most important task is finding something better than revenge. 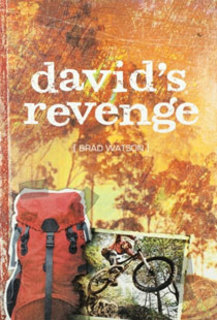 David’s Revenge is a story friendship, choices, perseverance and hope.